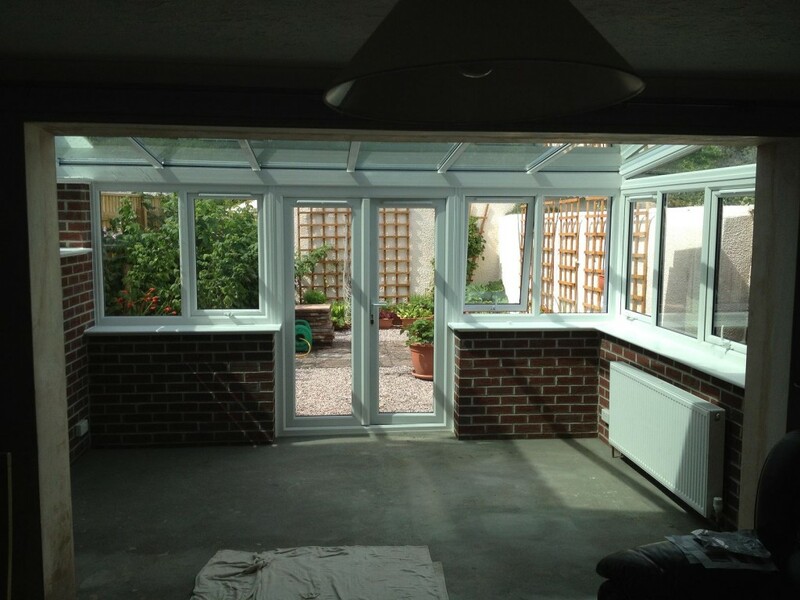 An existing customer in Dawlish, asked us to replace their existing lean to conservatory, which was an old aluminium type construction with single glazing. 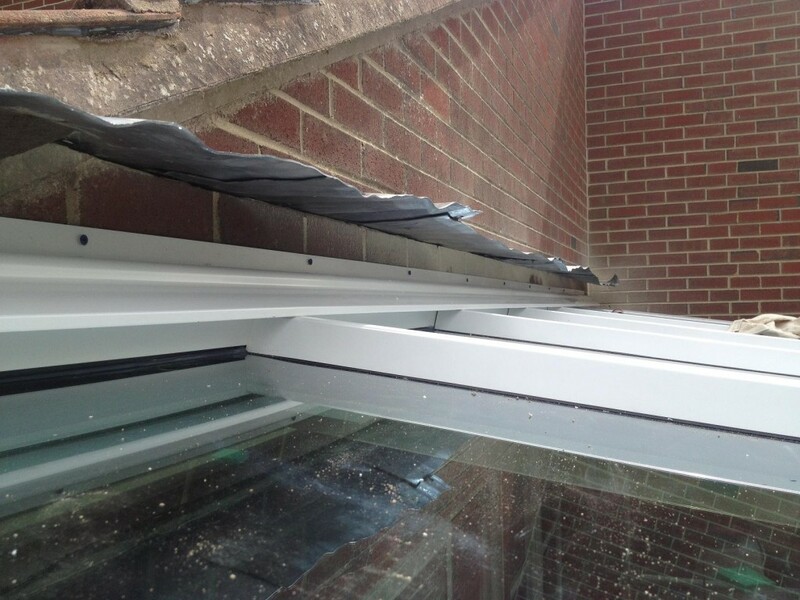 The client commenting that the old conservatory was unusable to its extreme temperature difference. Too cold in the winter and too hot in the summer. Once we had removed the old conservatory our team soon made a start by lifting up the old concrete floor and exposing the groundworks required. Excavating the footings ready for the bricks and blockwork to be formed. 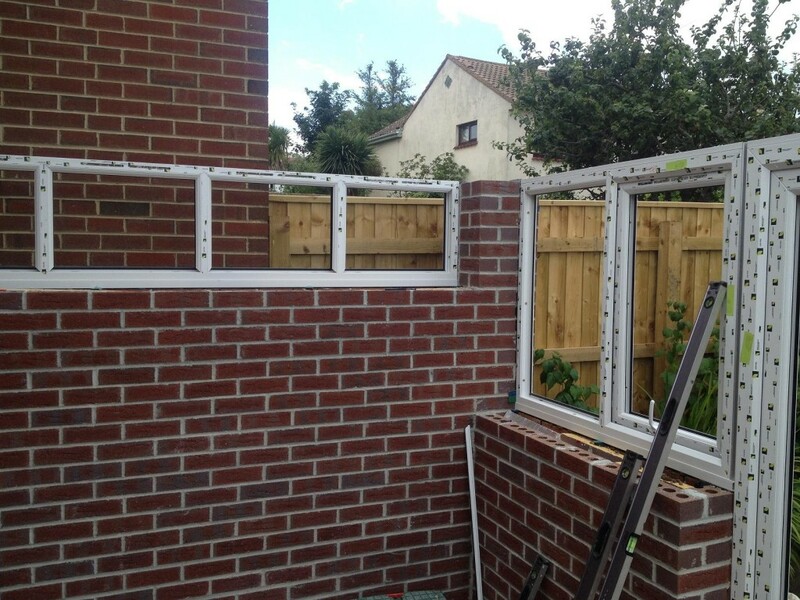 Next step…….install the framework! 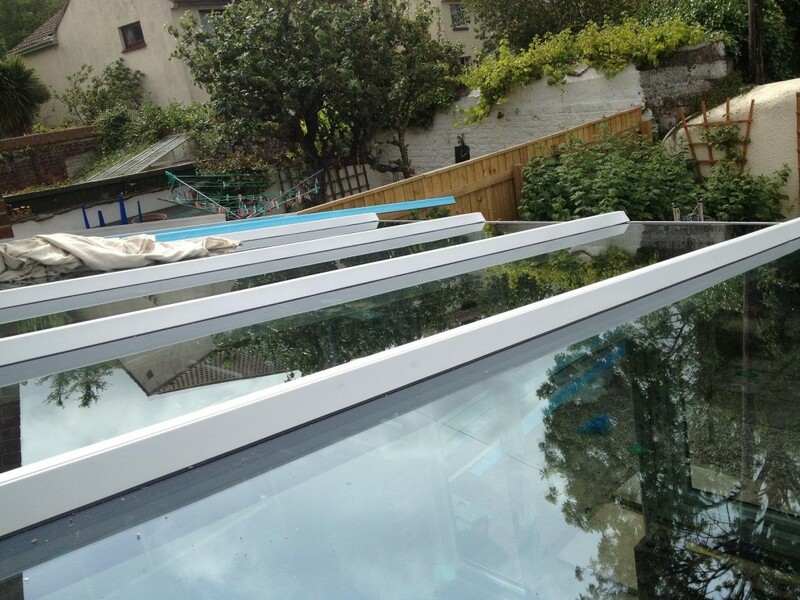 Once all the frames and french door were installed, we where then ready to install the ‘A-Rated’ Lean To Roof to compliment the framework. 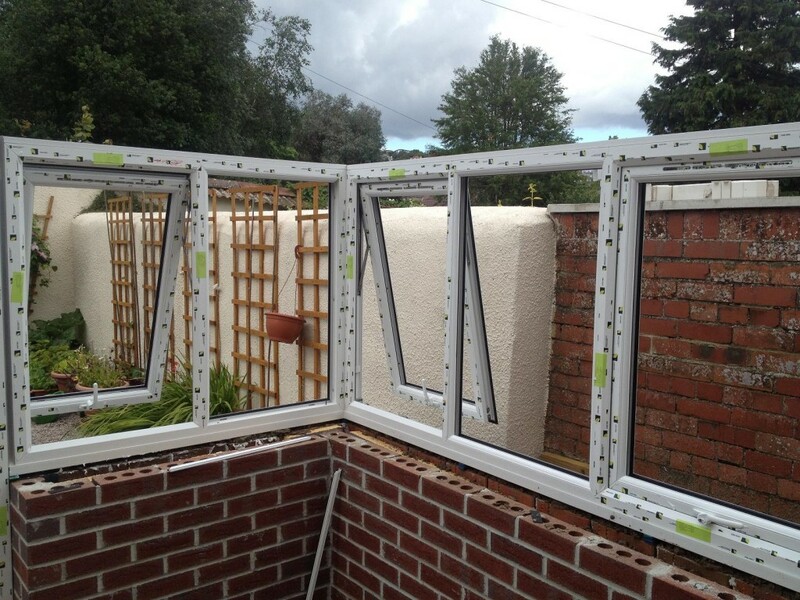 When the conservatory was watertight, we were then able to remove the internal patio doors and adjoining window, so we could create the stud wall around the existing opening, ready for our electrical and plumbing work to commence including new radiator. All thats left was to finish the floor, plaster skim the walls and reveals including where the old patio dividing door and window once were. 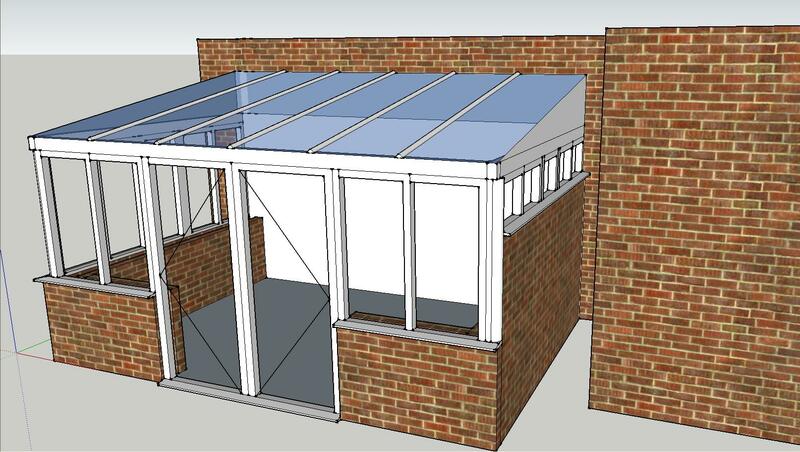 Now that the conservatory has been completed, all that is left to do, is for the customer to decorate and furnish. 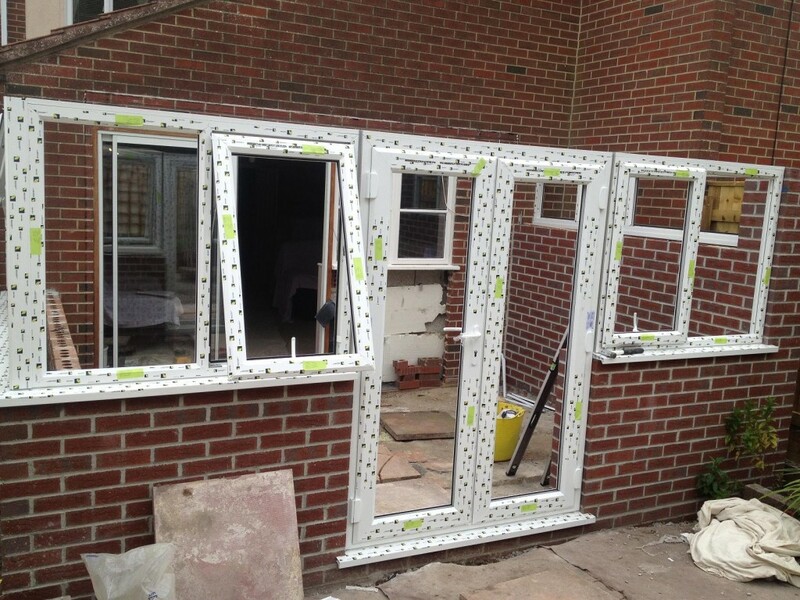 To view more photos, please visit our photo page on Flickr or why not contact us now for your free no obligation quotation.